Service Management System (SMS) is a comprehensive and innovative management software specifically developed for agencies delivering community care, nursing and other centre-based and in-home services. The system was initially released in 1996 and has been expanding and developing to meet client and industry needs since. 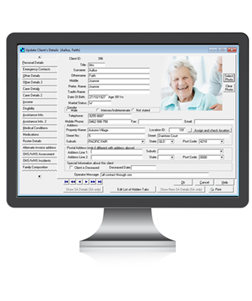 Fully featured & specialised Community Care software that saves you time. SMS Software is specific to your needs! Which Funding Applies to YOU?